Yamaha India launched 2010 editions of their popular super bike YZF-R1 and a special model of R15 India. 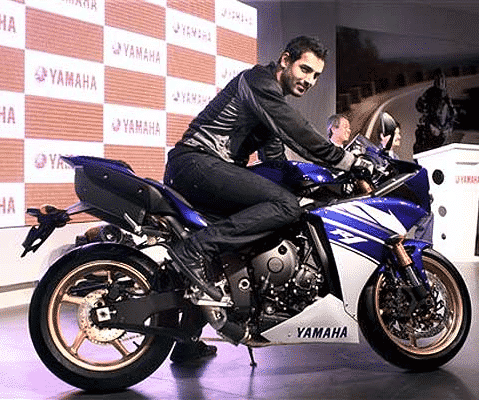 Both Yamaha R1 2010 and R15 2010 were showcased the Auto Expo Delhi. 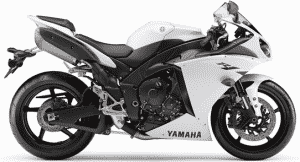 The new 2010 model of Yamaha R1 comes with a 998cc liquid cooled four stroke engine. It is the only model with cross-plane crankshaft technology, that can deliver unmatched power and performance. 2010 models Yamaha YZF-R1 will soon be available for booking at all important Yamaha outlets for a price of 12.5 lakhs. The difference in the new R15 is that it will be available in white color. This special edition of Yamaha R15 has almost same specification of the old model. Power: 179.5 bhp at 12500 RPM. 149.8CC engine that produces 17bhp@8500rpm and 15nm max torque at 7500 rpm. Electric start, alloy wheels, 6 gears and disc brake. Price of Yamaha YZFR1 2010: 12.5 lakhs Ex-showroom Delhi. Detailed review and more photos will be added soon.